Whether we like it or not, this world runs on petroleum and petroleum-based products. Therefore, the question that needs to be asked: "How can our petroleum-based economy operate in an environmentally responsible way -- while costs to industry and consumers remain reasonable?" Whether we like it or not, this world runs on petroleum and petroleum-based products. Without oil manifested into its many forms, a far different civilization from the one we know would have developed on our planet. It is a fact of life in our modern world that we use and benefit in myriad ways from petroleum and its product derivatives. Try to think of our world without the following: plastics, internal combustion engines for cars, trucks and ships. Almost all aircrafts use oil-based fuel -- with the arguable exception of hot-air balloons and gliders -- and good luck trying to manufacture them without modern petroleum products. The benefits of the petroleum-based economy are far too numerous to detail here, but in the transportation, mining, medicine, sports, construction and technology sectors, we would not have excelled as a civilization without the oil-based economic model. Without oil, we would have achieved much -- just not as much! Therefore, the question that needs to be asked: "How can our petroleum-based economy operate in an environmentally responsible way -- while costs to industry and consumers remain reasonable?" As we speak, the future of the Keystone XL pipeline and the Enbridge Northern Gateway pipeline are under consideration. What hasn't been a part of the debate is the most obvious discussion of all: How "clean" will that oil be while it is flowing through a pipeline or while being transported in a super-tanker? From this environmentalist's perspective, it can't be clean enough. Both pipelines will cut across some of the prettiest scenery on the planet. Accidents do happen -- of that there is no doubt. 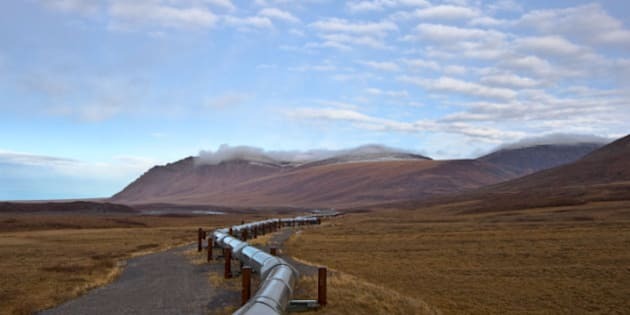 There WILL be a spill somewhere, sometime, and other than building the best pipeline possible and following the safest route, the only other factor that could make a difference is the quality of the oil flowing through the pipe. 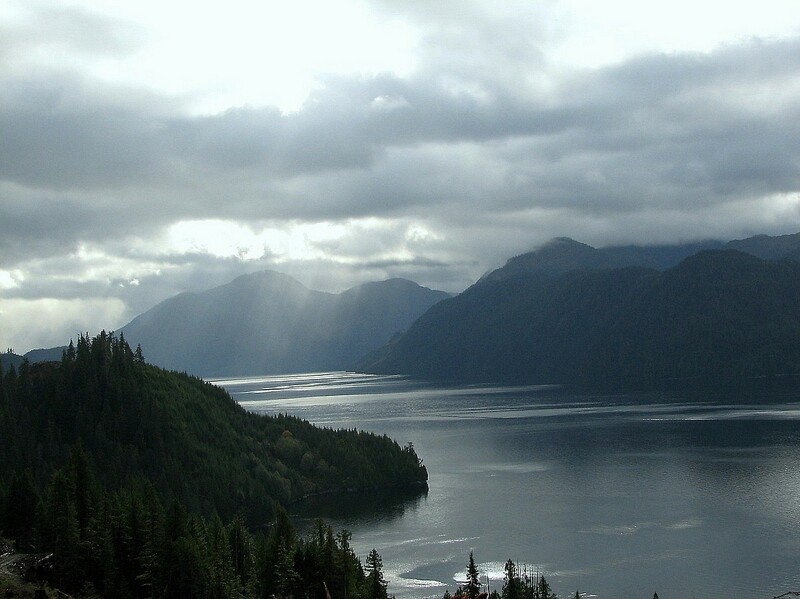 Take a minute to look at the scenery within a five-minute drive of the port at Kitimat, B.C. -- the proposed Enbridge Northern Gateway pipeline terminus -- while you decide if having the best environmental standards applied to the tar-sands and its petroleum transport system qualifies as "spending" or "investing" in B.C. 's future. See, you're an investor in Canada's environment. I knew you were a good person! We are all environmental stakeholders when it comes right down to it. Because B.C. has some of the most gorgeous scenery on Earth, I advocate strongly that every drop of oil loaded into pipelines should be highly-refined at or near the source of extraction to minimize transport of toxic crude oil over our environment. Highly-refined oil -- prior to the addition of other ingredients -- is of lower toxicity. Shipping low-toxicity liquids would be light years better than the present practice of shipping toxic crude oil. An interesting alternative to shipping raw crude oil employed by the world's number one oil exporter, Saudi Arabia, is to highly refine petroleum into ethane gas which is I think is a safer product to transport, from an environmental standpoint. If a leak occurs while the product is in transit, it doesn't destroy underground aquifers or kill ocean life. Another 21st-century method employed in Saudi Arabia is to highly-refine petroleum into products. Saudi Arabia has just signed a $20.6 billion-dollar agreement to build another petro-chemical plant in Yanbu, Saudi Arabia for the purpose of manufacturing and exporting various plastic products which have been refined from Saudi crude. So, dear reader, I have left the best for last. China is so thirsty for oil that it is happy to purchase petroleum product in any form we choose to sell it -- and their economy is cash-rich and oil-starved. How does that work for you? China has financed many projects all over the world in recent years, including billion-dollar oil refineries and the $15 billion-dollar Lesotho Highlands Power Project (LHPP) which consists of 10,000 megawatts of combined wind turbine and hydro-electricity for Lesotho and South Africa's electrical grid and other large-scale projects. There is no reason at all for Canada to be shy about approaching China with a financing proposal for a world-class petroleum refinery located near the tar sands site -- thereby earning a lifetime customer and committed partner to the project's success. For once, getting the financing to build a world-class, environmental best-practices oil-refinery and the necessary transportation links required to get it to market isn't that much of a problem. Thanks, China! We need to admit that this country is going to mine, upgrade, sell and transport tar sands product and there is no longer any thought about stopping it. Why not allow China to finance a world-class refinery to highly refine oil into a low-toxicity state so that at the very least it can be safely transported and shipped over our landscapes and seaways? A win-win solution exists for both countries and the only worthwhile question remaining is: Which does China want to finance? How does my environmentalist viewpoint compare to the present practice of flowing toxic liquids through pipelines and shipping toxic crude oil using single-hulled super-tankers? Affix your gaze to the end result I propose: A world-class tar sands refinery located near the extraction site, dedicated to refining tar-sands into some of the safest and cleanest products available and then transporting it in that low-toxicity state using world-class land and sea transportation methods -- all financed by China. Think of all the value-added activity, as opposed to merely exporting a raw resource. Just try to estimate the number of jobs this would provide for Canadians. No doubt, it will take leadership to bring this improved environmental vision to completion.